The Protos VC team is a unique mix of entrepreneurial and fund management skills. the largest Polish recruitment website for families, and households. 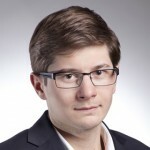 A seed investor in several online projects such as Brainly.com, Docplanner.com, and Skubacz.pl. His fields of expertise are marketing, business models, and strategic management. Age: 31. A graduate of the Department of Electronics and Information Technology at theTechnical University of Warsaw and Department of Management at the Warsaw University. For the last 8 years, an entrepreneur operating in the IT, software and online industries. Co-founded the Pomocni group (niania.pl, remontuj.pl, and pomocedomowe.pl – est. 2008), a market leader in helping to find babysitters, repairmen, and housekeepers (sold to Edipresse Polska in 2011). 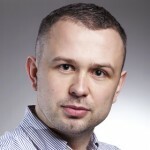 Michał specialises in IT, Search Engine Optimisation, and Operational Management. Age: 32. Graduate of the Warsaw School of Economics and CEMS International Management programme. For almost 10 years he has been an active participant in Polish start-up scene – both as institutional investor and business angel. 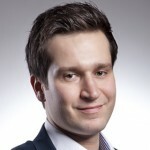 Kuba started his professional career at bmp AG, a German venture capital fund, whose investments include, among others, bankier.pl, nokaut or k2internet. Subsequently, he participated in implementation of one of the biggest seed investment in Poland (FM Bank), financed by a private equity fund. Prior to Protos VC, Kuba worked at BBI Capital where he was responsible for finance, reporting, and corporate governance in the portfolio companies. Age: 50. A graduate of Harvard University, and the Warsaw School of Economics. Has more than 15 years of professional experience in private equity/venture capital and investment banking. 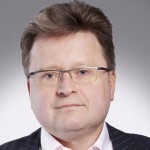 In 2010-2011, the CEO at BBI Capital, a private equity fund listed on the Warsaw Stock Exchange. In 2004-2008, Associate Partner at bmp AG, a German venture capital fund listed on the Frankfurt and Warsaw stock exchanges,responsible for sourcing and executing bmp’s investments in Poland. A Management Board member at CA-IB Fund Management, a company managing a private equity fund listed on the Warsaw stock exchange with assets of approx. EUR 100 million. A Managing Director at IEG Investment Banking, a German investment bank, responsible for the company’s business in Poland. Previously, a consultant at McKinsey & Company at its Stockholm and Warsaw offices. Age: 31. A graduate of the Department of Electronics and Information Technology at the Technical University of Warsaw. While still a student, he founded GoldenLine.pl — the biggest social network for professionals in Poland. Founded the largest Polish medical website, ZnanyLekarz.pl, which was later successfully introduced to foreign markets under the logo of DocPlanner.com. 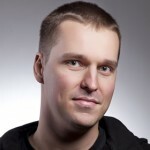 Mariusz is a seed investor in brainly.com, skubacz.pl, shoplo.com, and positionly.com. 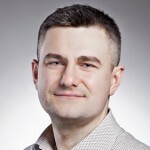 Mariusz is interested in new technologies and modern management processes. Age: 37. A graduate of Finance and Banking Department at the Warsaw School of Economics. Has 12 years of experience in private equity and investment banking. Worked as a member of the investment banking team in Citibank, Warsaw, for five years (M&A and IPOs). Subsequently, held the position of an Investment Director at Enterprise Investors, a leading private equity fund operating in Central and Eastern Europe. In this capacity, he was responsible for sourcing, executing, and supervising the fund’s investments. Held the position of a Managing Director at a German investment bank IEG Polska. Paweł has completed private equity transactions totalling more than PLN 1 billion. He also has experience in managing and supervising public companies, e.g. Grupa Kapitałowa Kruk, BBI Capital, and Hardex.